More clippings, a new year. A difficult year of rebuilding. The BC Track Racing Association had taken over as the main sanctioning body of stock car racing in the area. They were working with the BC Midget Auto Racing Association at False Creek Speedway and had a falling out momentarily. Saturday, June 20 -- False Creek Speedway: A main, Jim Marchant; B main, Doug Airth. June 27 -- False Creek Speedway: karts, A main, Dallas Anderton. Saturday, July 4 -- False Creek Speedway: A main, Brent Anderton. July 11 -- False Creek Speedway: A main, Ted Deacon. July 18 -- False Creek Speedway: A main, Jim Marchant; B main, Jack Taylor. July 25 -- False Creek Speedway: A main, Jim Marchant; B main, Len Foster. Saturday, August 1 -- False Creek Speedway: sprint cars, A main, Smokey Blake. 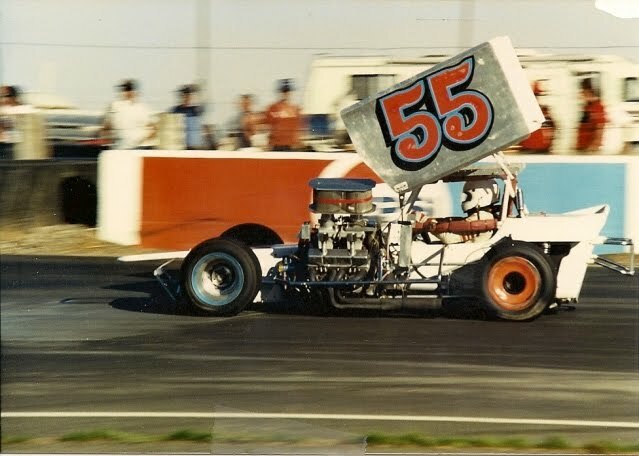 Sunday, August 2 (or maybe July 26th) -- Haney Speedway: A main, Jim Raper. Sunday, August 2 (?) -- Haney Speedway: A main, Jim Marchant; B main, Len Barcello. Sunday, August 9 (?) -- Haney Speedway: A main, Ted Deacon; B main, Brian Mutch. Sunday, August 16 (?) -- Haney Speedway: A main, Doug Airth; B main, Brian Mutch. Sunday, August 30 (?) 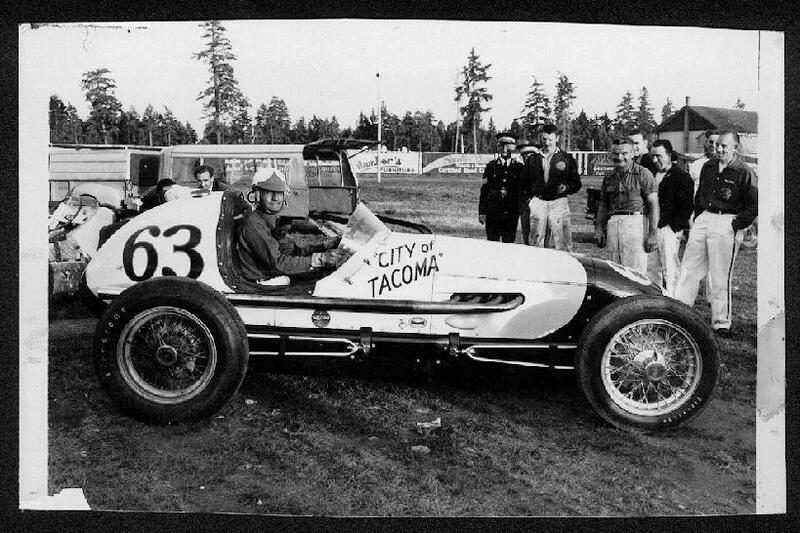 -- Haney Speedway: A main, Ralph Monhay; B main, Ted Deacon. Sunday, September 6 (?) -- Haney Speedway: A main, Doug Airth; B main, Gordie Green. When in doubt continue to link. Here's some information about the IMCA big car races at the Lakehead Exhibition in what is now called Thunder Bay, Ontario. Been a while since I've done one of these. A "new" series to me. We must not have got that channel when I was eleven. You probably either need to be four or a 34 year old nerd to like this. But it is Saturday morning. And Motormouse does say "boy howdy!". Some more. 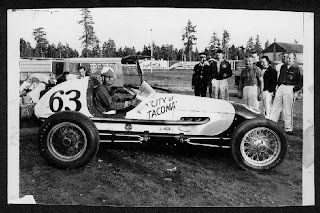 Sprint cars at False Creek Speedway and Jim Raper, best known from Skagit Speedway, winning the opening race at Haney Speedway. Just because I started looking at what I had, here's a couple clippings from the 1959 oval season in the Greater Vancouver area. 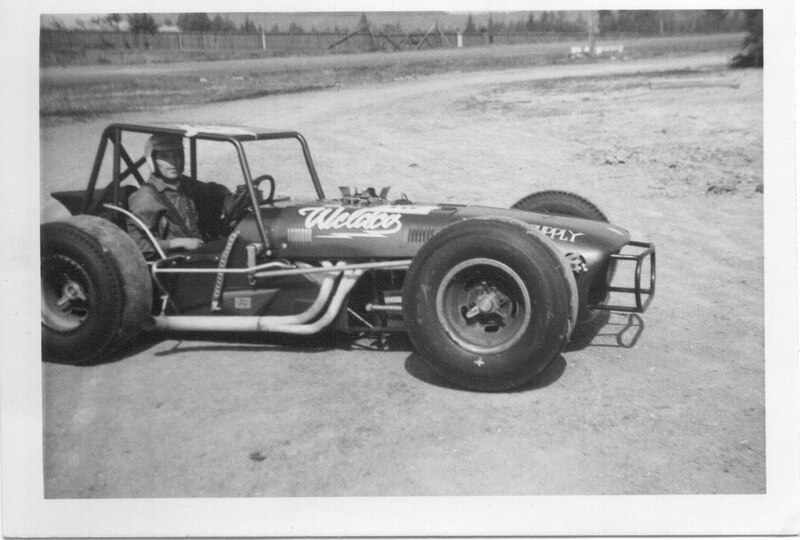 Two tracks: False Creek Speedway and Haney (Maple Ridge) Speedway. Both of these are from False Creek. Marginally better than the previous year, but still lacking. One of the few 1958 articles does mention that Les Diack won the 1957 points championship as well as the 100-lap championship race. Came across an old Floyd Clymer Historical Motor Scrapbook. This page caught my attention. A list of records for covering the west coast roads, such as they were, from the Canadian boundary to Mexico. Hence, three flags. 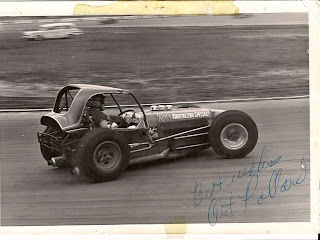 Third, and final, installment of the 1958 Digney Speedway season. And with that the track was no more. 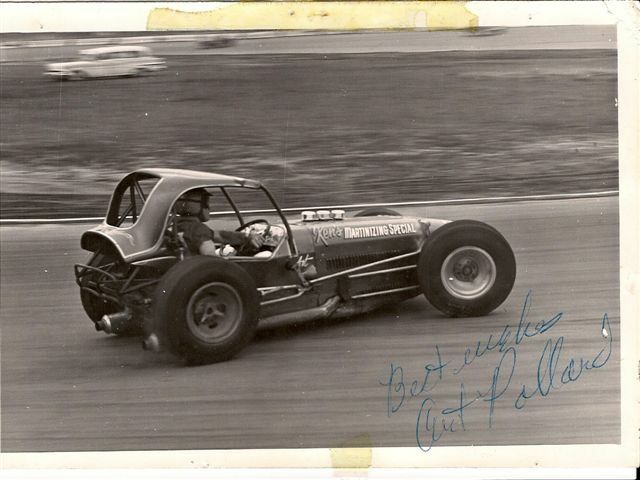 Second installment from the 1958 Digney Speedway season. Some clipping from the 1958 Digney Speedway season. Back to Digney Speedway. Sorry for the delay. And this is a pretty dismal season for results. Saturday, Jun 1: Mel Keen; jalopies, Jack Norgard; consolation, Don Smith. Saturday, September 21: championship race. until September 21. And I have nothing on that. So I plead for assistance! Here's a bit of history unearthed from the web. The information I have from the Washington Midget Racing Association indicates that there might have been separate points kept for the Inland Empire Auto Racing Association for races held at the Division and Francis Streets track. So here are some articles pulled from the Spokesman Review of Spokane. So the article at the bottom says Stan Muir won the points out in Spokane. There is still some question whether these points applied to the WMRA totals. And during the season the Offie powered midgets got banned in favour of the Ford V8-60s. A lively season to be sure. I'm alive. And getting responses about various things. Just proves if you leave something up on the web long enough a google (or some other search engine) search will bring them to me. Not quite as poetic as "if you build it they will come" as W.P. Kinsella wrote, but it still applies. And a photo or two to get me to tomorrow, or the day after tomorrow. Top one is Art Pollard circa 1963 and the bottom one Ralph Monhay, probably at Grandview Bowl, Nanaimo, BC, circa 1965. Thanks to Ralph for both photos.